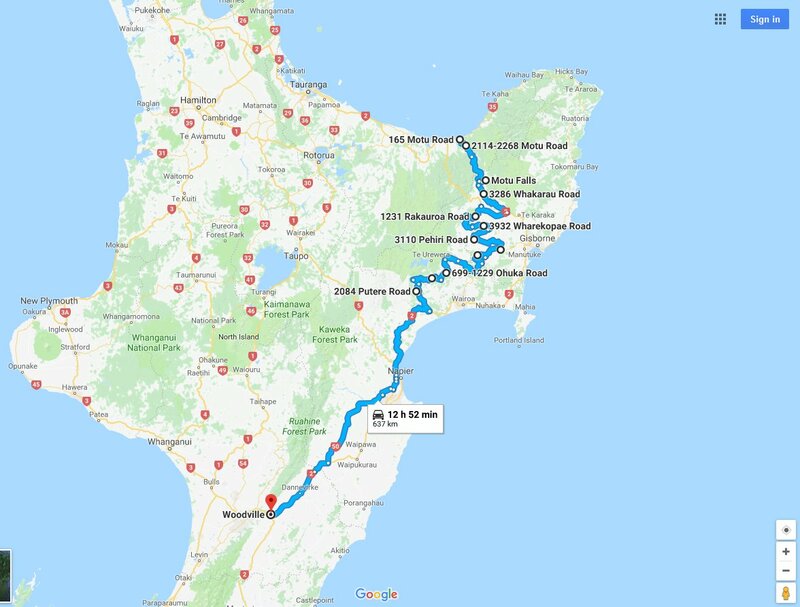 While the Waikato and Taranaki down the Mid-WestCoast are an ADV-Route-Mecca, the eastern side doesn't offer anywhere near the fill-of-thrill. Still....there are some sweet spots and stretches around, if dotted far more sparsely. Therefore it's rather a matter of knitting the highlights together by the least-busy backroads than trying to squash in as many gems as possible. The Coromandel, Gentle Annie, East Cape etc. will fill an "Extras"-section further down these listings as they are too far off the main north-south line to be part of the main routes. 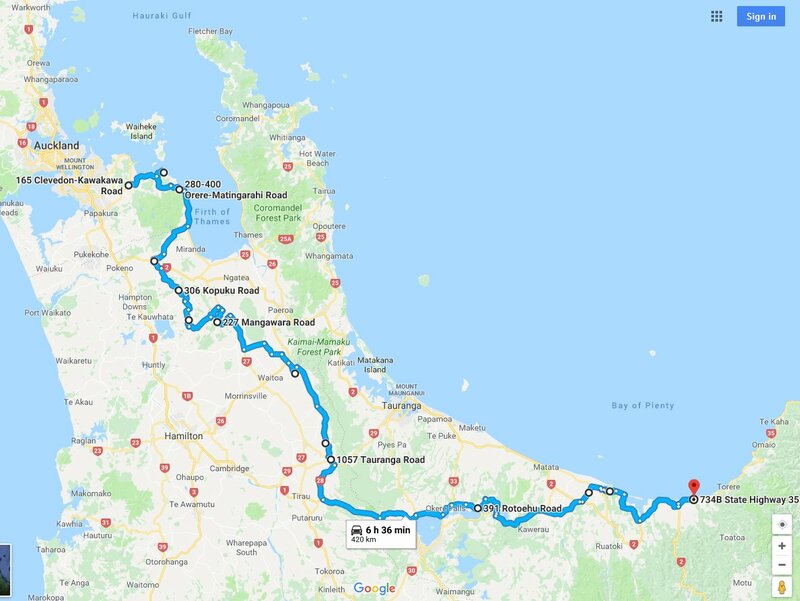 This is the longest single segment of the entire routing-project with just under 1100km from Clevedon to Woodville, NOT including the multitude of possible variations and optional Extras. Minimum time requirement is about 3 days, with one day each covering the mostly sealed road stretches in the north and south. The center part around Putere, Tiniroto and Motu will easily consume one day...if in a rush! Suggested time frame is 4 days, add more days for Extras like Coromandel, East Cape or branching via Gentle Annie and Taihape. IF FUEL IS AN ISSUE @ PEHIRI RD/ TINIROTO RD JUNCTION ....GO TOWARDS GISBORNE/ FIRST ROUNDABOUT TOWARDS NAPIER, MANUTUKE, 50km return!! A 230km return ride (incl. 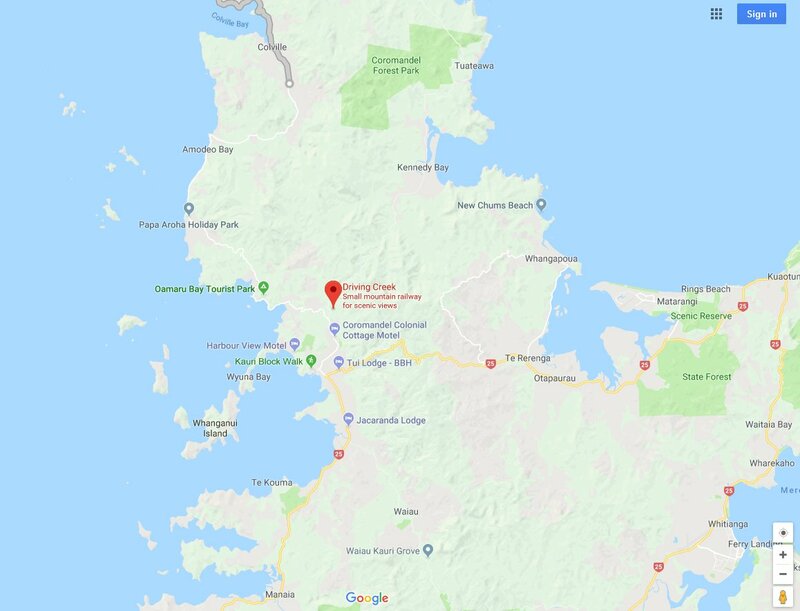 65km gravel) of outstanding scenery and lots of "wowww-moments", this coastal gem can still be added to by the racetrack-smooth twisties of the SH25A from Thames across the spine of the Coromandel to the eastern shores. 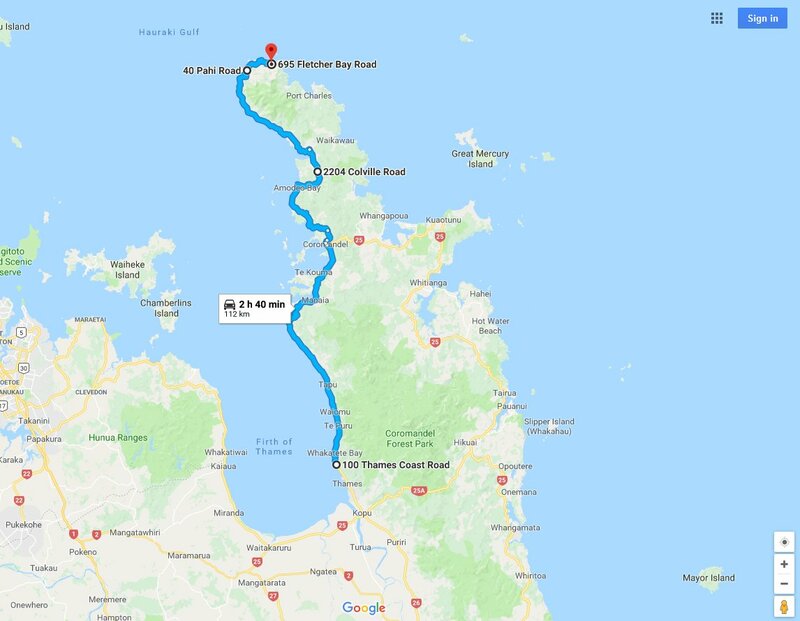 Stay at Whitianga and throw in a dip at Hot Water Beach or the Black Jack "curlies" for even more coastal delights to Opito Bay. The final 32km from Colville past Port Jachson to the road's end at Fletcher Bay are usually good gravel....with a small beach and Campsite at the end. DRIVING CREEK RAILWAY isn't your little tourist gizmo railway thing! Instead, it's an outstanding engineering exercise (and NOT built by an engineer, but by that well-known Kiwi-knack to make something incredible from NOTHING! ), it's a landscaping bonanza, it's one hell of a quirky thing where ever one cares to look, it's arty-crafty at a headshakin' scale, it's funny, it's impossible, and it started with the search for a pot of clay. Bloody brilliant stuff...and occasionally hair-raising in its dare-do.